Smashtor is the claw-like Deluxe Battle Gear in Dharak Colossus. 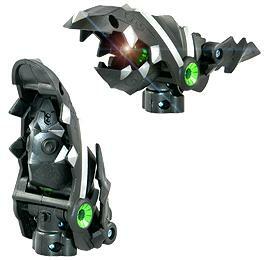 This Bakugan Battle Gear smashes opponents with tremendous strength. Smashtor can also shield Bakugan from incoming attacks. Smashtor lights up when it opens like Riptor. It is Copper attributed and has 80 Gs. Purchase your Smashtor Battle Gear from Amazon now!